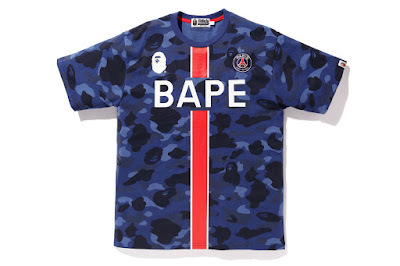 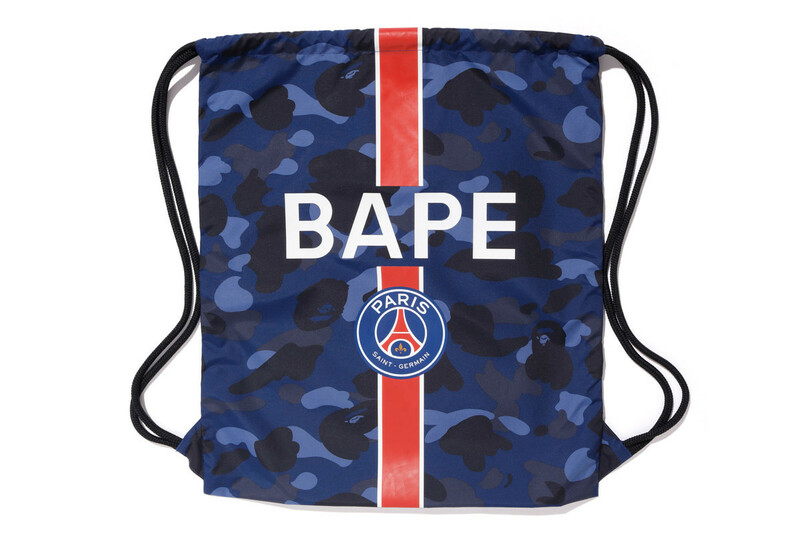 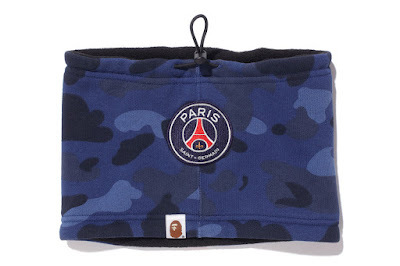 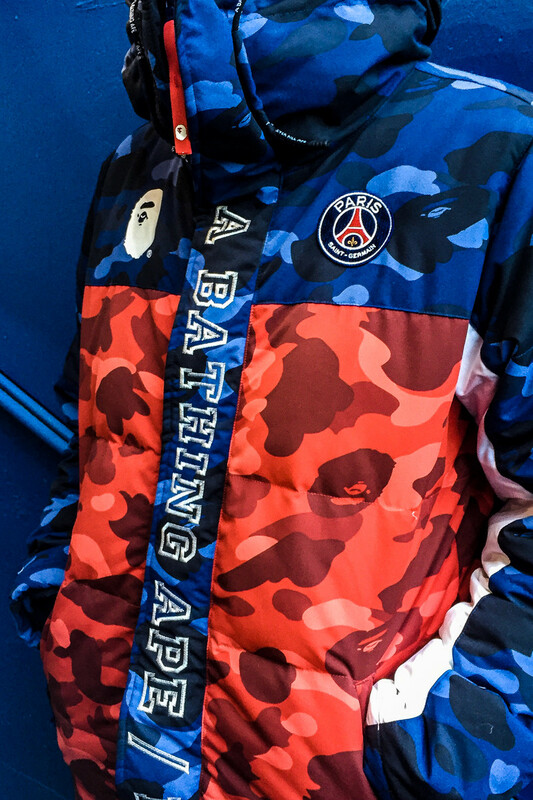 After a first look at the eagerly-awaited team-up between Paris Saint-Germain and BAPE, the full collaboration has finally been revealed. 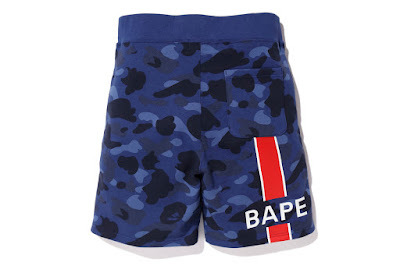 Encompassing a variety of BAPE classics, the collection is fully decked out in PSG’s familiar blue, red and white color scheme. 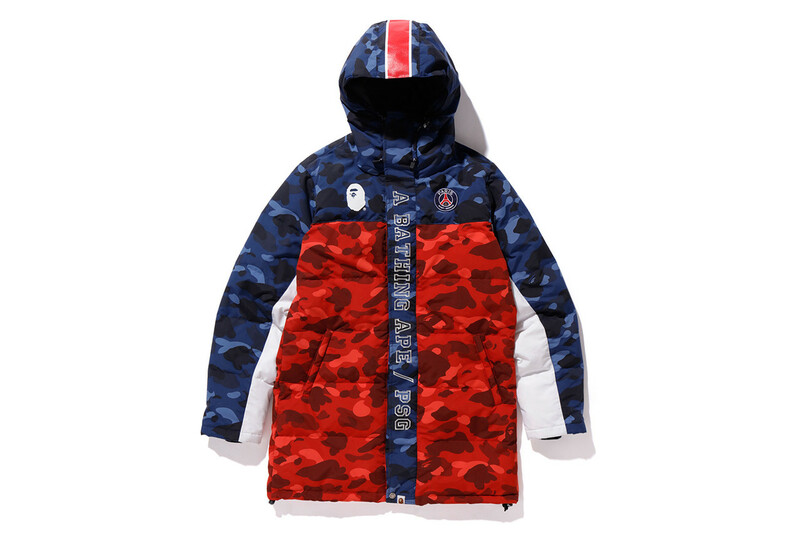 To fight the winter chill, the duo have remastered BAPE’s iconic Long Down Jacket, which boasts co-branding on the front and PSG’s signature stripe on the rear, above a bi-color blue and red camouflage pattern. 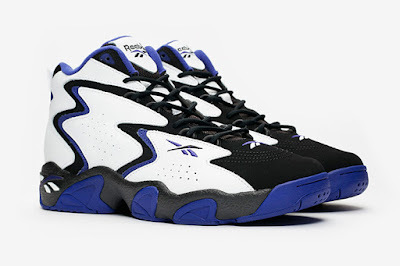 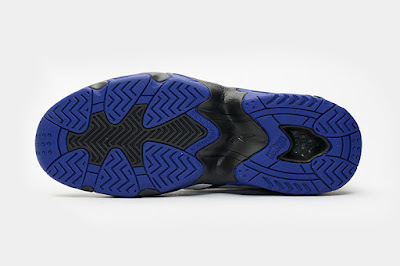 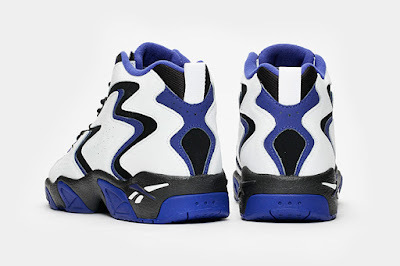 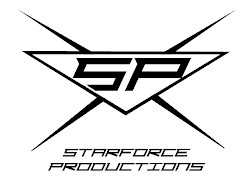 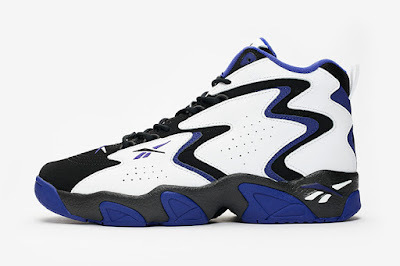 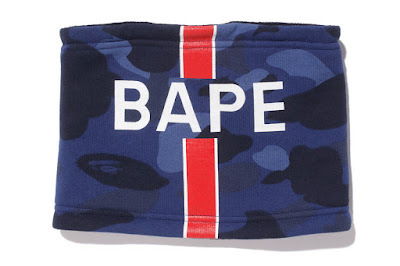 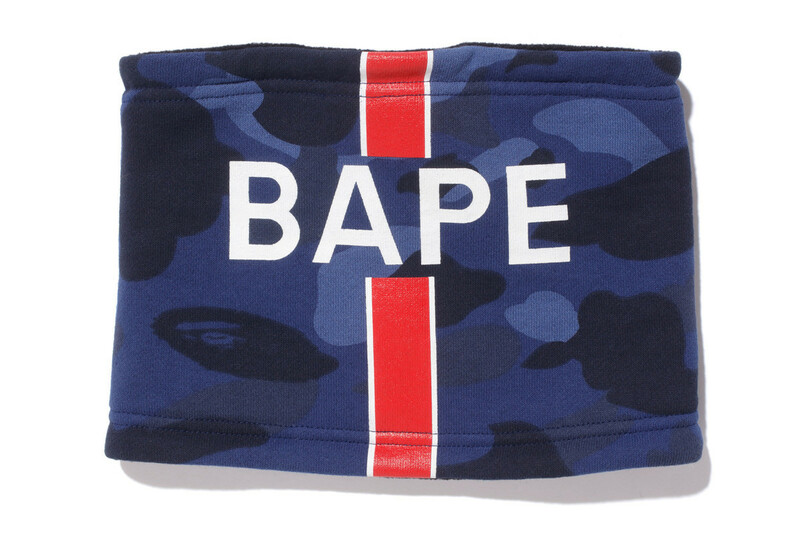 The same pattern appears on white/red/blue and tonal blue full-zip Shark Head hoodies, which also sport the PSG stripe and oversized “BAPE” text. 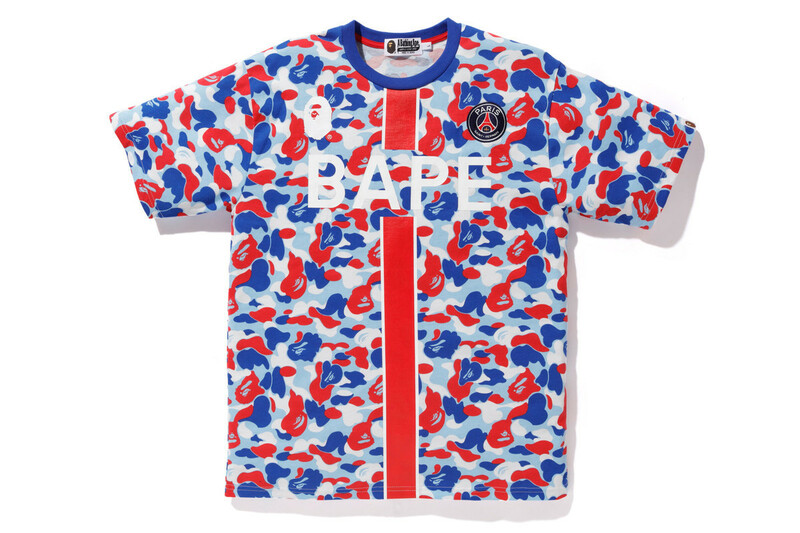 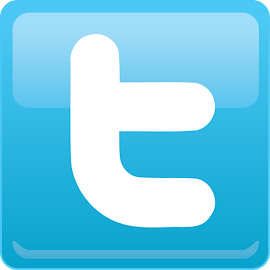 Complementary T-shirts boast the soccer club’s circular logo alongside the Japanese brand’s recognizable Ape and Shark Head imagery. 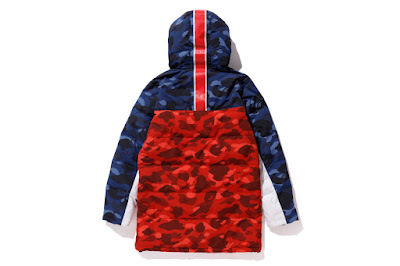 Finally, a drawstring bag, fleece neck warmer, Shark motif mask and camo-covered shorts rounds out the colorful release.